Made by one guy, and after almost two long years of development, Degica Games is excited to announce that Rival Megagun is coming out on multiple platforms on November 29th! It will be landing on four platforms, including PC (Steam), Nintendo Switch, Xbox One, and PlayStation 4. 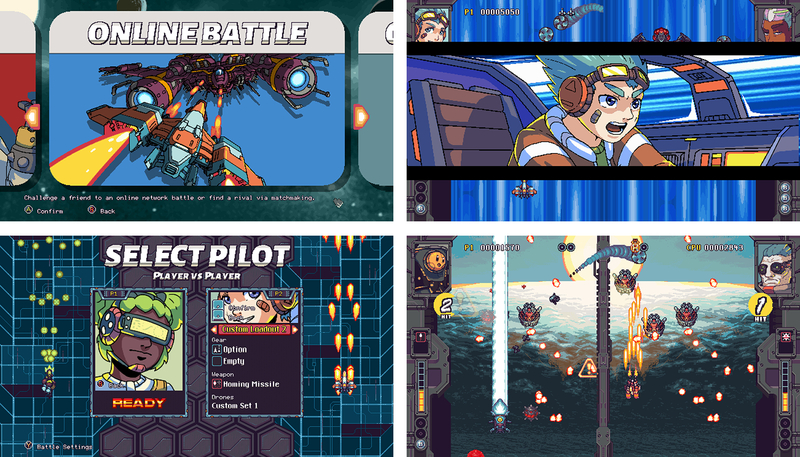 Rival Megagun is a split-screen, vertical shoot ’em up that pits players against other players, though there is also a single player arcade mode. You’ll transform into a giant boss ship to invade your foe’s screen. This massive ship is known as your “Mega Gunship”. You can also find out more about the game at the official Rival Megagun website.